Trust the Experts to Get You Back in Business! When damage occurs or is discovered on a commercial property, the response immediately following the discovery will determine how severe the outcome will be. If you don’t have a plan in place to respond and minimize the damage, you’re taking a huge risk and increasing the odds of a much lengthier, more difficult and costlier restoration timetable. See the need for having a plan in place before disaster strikes. Want to ensure priority response in the event of an area wide disaster. Are concerned about fast response and fast completion. Need to lower restoration costs and unbudgeted expenses. Are looking for ways to prevent or minimize loss of income. Need help protecting themselves and all parties involved from future liability. Gather advanced knowledge on your property before a disaster can happen. Mitigate damage quickly and correctly during the restoration process. Meet with you after restoration is complete so you understand what actions were taken and why. Every hour lost can mean lost revenue and even your tenants/occupants. We have the capacity, experience and expertise to restore commercial properties. 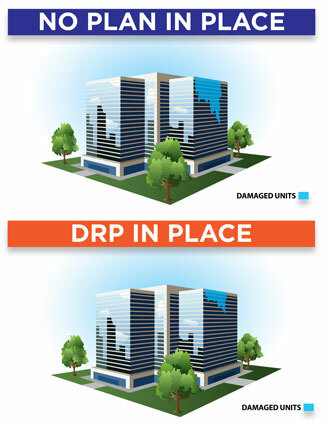 We restore losses with as little reconstruction or replacement as possible. If reconstruction is necessary, we’ll handle the job from start to finish through one point of contact. We provide comprehensive documentation in near-real time so that any third party, no matter how far away from the job site, can see what happened and what steps are being taken to restore the property back to pre-loss condition.